France has long been the favoured destination for British skiers thanks to the wide choice of resorts and huge range of catered ski chalets. There’s simply something for everyone, no matter what you’re looking for in a ski or snowboard holiday and no matter your ability. We particularly like it because it’s very well set up for group and family ski holidays. 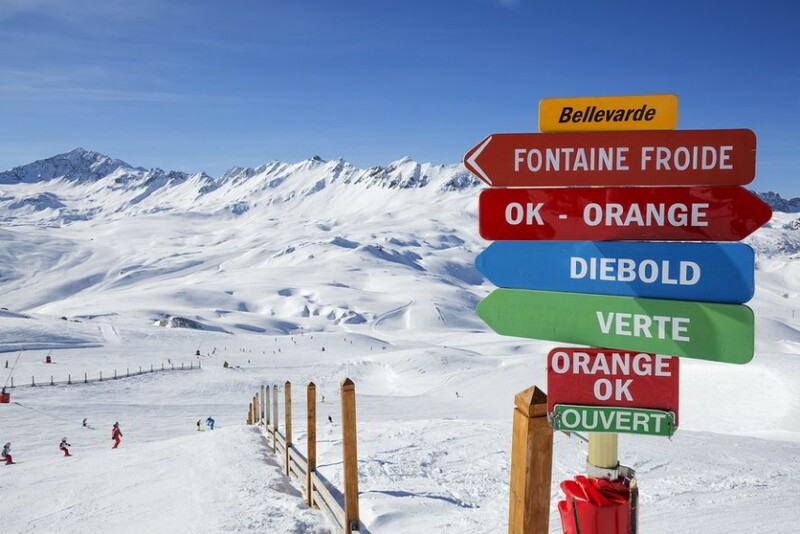 Our favourite French resorts include Meribel, the chocolate-box-pretty heart of the world’s largest (and some will say best) ski area; Val d’Isère, possibly France’s most famous resort with excellent skiing for intermediates and advanced as well as great ski schools; and Serre Chevalier, a higher, quieter resort which offers great value for money. There are heaps more resorts to choose from, as well as a great range of catered ski chalets in each resort. Our range of chalets features everything from cheap and cheerful ski deals all the way up to luxury catered ski chalets complete with hot tubs and private chefs. Val d’Isère is one of the most famous resorts in the world, and what sets it apart is its all-round appeal. We don’t think there is another ski resort in the Alps which offers what Val d’Isère can; it’s snow sure, picturesque, has amazing nightlife, pistes to suit all abilities and is also good for non-skiers. You really can’t go wrong! We have a wide range of catered ski chalets in Val d’Isère, and the high altitude of the resort means that many are ski-in ski-out. Meribel is the heart of the 3 Vallées, located right at the centre of 600km of pistes. For beginners, intermediates and experts alike, the 3 Vallées gets five stars for both quantity and quality of skiing. Meribel itself is a pretty resort with lots of traditional chalets and some fantastic après-ski bars including a Folie Douce, one of our all-time favourites. In fact, it has more catered ski chalets than any other resort in France, with something for all budgets and tastes. Serre Chevalier might not be the first resort that springs to mind when looking for a group or family ski holiday in France, but we think it should be. It offers amazing skiing for all abilities, superb off-piste terrain and some great tree runs too. In fact, Serre Chevalier has it all…apart from the crowds! Even better, catered ski chalets in Serre Chevalier are generally very good value for money. As the French Alps are the closest major ski destination to the U.K., you have various ways of getting to your catered ski chalet. For the convenience of knowing everything is included, a package including flights and transfers is ideal. You’ll be met by a resort rep on arrival and taken by transfer bus to your catered ski chalet. We have a wide range of flight options available from most U.K. airports. We love sending our clients to independent chalet operators because we feel the service and value for money they offer is superb. If you want to arrange your own flights we can help organise transfers to the chalet. Driving down to France is a cost-effective option of getting to your ski chalet, especially if you’re going on a family ski holiday. (And it avoids luggage restriction!) Alternatively, taking the train to the Alps has been popular for well over a decade now. It may take longer than flying, but it can give you an extra two days on the slopes.